David S. Jones M.D., Ph.D.
Award Year: 2007 Over the last 15 to 20 years, evidence-based medicine and clinical practice guidelines have been embraced as ways to rationalize medical decisions about how to treat patients. But the results so far have been mixed, as the treatment of coronary artery disease (CAD) demonstrates. Two of the standard treatments for CAD, coronary artery bypass grafting and percutaneous transluminal coronary angioplasty, have been used far more frequently than indicated, with periods of growth and decline not associated with changes in the evidence base on why and when they should be used. David S. Jones, M.D., Ph.D. explores this disconnect between clinical evidence and medical practice. He considers how physicians have responded to competing hypotheses about the causes of CAD, treatment risks and unexpected complications, and evidence of wide disparities in the use of cardiac surgery and angioplasty. 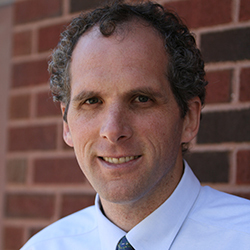 His project, The Rise and Fall of Cardiac Revascularization: Therapeutic Evolution and Health Policy in the Late 20th Century, aims to uncover the range of factors that influence clinical decision making in American medicine. Results should increase understanding of the appropriate uses of bypass grafting and angioplasty, as well as newer technologies such as intravascular ultrasound, stents, and possibly even gene therapy. David Jones is the A. Bernard Ackerman Professor of the Culture of Medicine in the department of global health and social medicine at Harvard Medical School. Previously, he was an associate professor of the history of science in the Program in Science, Technology, and Society at Massachusetts Institute of Technology. Until 2008, he was director of the Center for the Study of Diversity in Science, Technology, and Medicine. After completing his M.D. and his Ph.D. in history of science at Harvard in 2001, he trained in psychiatry at Massachusetts General Hospital and McLean Hospital, and then worked for two years in the Psychiatric Emergency Services at Cambridge Hospital, a site that powerfully demonstrates the reciprocal interactions between disease and society. His initial research focused on health disparities, particularly during epidemics of smallpox and tuberculosis among American Indians. This project produced his first book, Rationalizing Epidemics, as well a series of articles. Dr. Jones's current research examines the history of cardiac revascularization, including both angioplasty and bypass surgery, in the United States. By studying the rise and fall of these techniques, he hopes to explore the limits of rationality in modern medicine. He is also interested in the history of race, genetics, and pharmacology, especially the origins of pharmacogenetics. Jones, D.S., Greene, J.A. The Decline and Rise of Coronary Heart Disease: Understanding Public Health Catastrophism. American Journal of Public Health, 103: 1207-1218, 2013. Jones, D., Greene, J.A. The Contributions of Prevention and Treatment to the Decline in Cardiovascular Mortality: Lessons from a Forty-Year Debate. Health Affairs, Oct 2012, 31(10): 2250-58. Jones, D.S. How Much CABG Is Good for Us? Lancet, 2012; 380: 557-558. Jones, D.S., Cambrosio, A., Mogoutov, A. Detection and Characterization of Translational Research in Cancer and Cardiovascular Medicine. J. of Translational Medicine, May 2011, 9: 57. Jones, D.S. Therapeutic History and the Need for Archives: The Case of Cardiac Revascularization. Journal of the History of Dentistry, Winter 2008, 56(3): 119-22. Jones, D.S. Broken Hearts: The Tangled History of Cardiac Care. Johns Hopkins University Press, 2013.